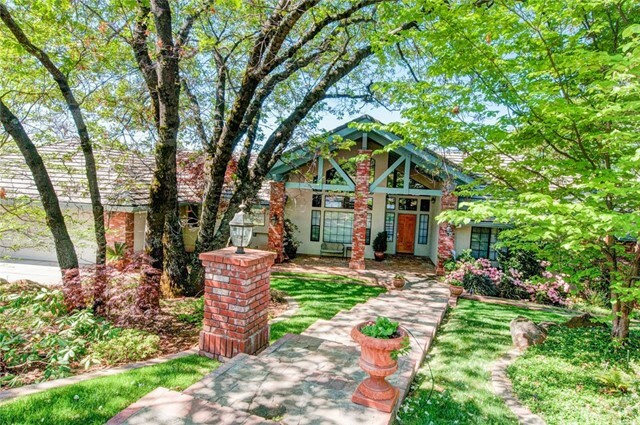 Looking for a one of a kind, LITERALLY move-in ready home w/ breathtaking canyon views? Look no further! Located on a premier lot, this custom 3600 sq. foot Ray Johnson built home comes fully furnished, w/ all of life's essentials. Found on a gentle slope nestled among professionally landscaped blooming plants & trees, melting into the natural surroundings. Imposing faade w/ over-sized stone steps lead to covered front porch. Inside lies an enormous great room walled with windows showcasing the surrounding beauty. Cathedral ceiling has a classic brick surround propane fed fireplace. Designated dining room, fully equipped kitchen offering two sinks, double ovens, center island & more storage than you can imagine! Additional breakfast nook to the side with access to back. Expansive upper level deck with wrought iron fence hugs the backside of the home, with patio furniture, BBQ & spa! Home provides multiple views with unbelievable sunsets. One wing includes laundry room & 3 bedrooms, including luxurious master adorned by coffered ceiling, keyed closet & dual sink ensuite w/walk-in shower, privacy toilet & corner jetted tub. On other end is a 3 car garage, den, office & downstairs has a well facilitated game & workout room with pool table! This could be your dream sanctuary, 15 minutes from Chico, within a private gated community with pool, off site storage shed and walking trails. Enjoy viewing the Milky Way right from your own deck with included sophisticated telescope. Listing Provided By John Barroso of Parkway Real Estate Co.